Well, as expected, Babs hunts down Dr. Falsario in the jungles of Brazil. Although, strangely, we see her right on top of him and then when we return to the jungle scene later he's already lost her and she only finds his corpse after an assassin has silenced him and left. Nice continuity, Seeley. Snyder should have told you to rewrite the script, but I guess he's busy with another "ultimate event that will change Batman forever" (it's what he says about every one of his storylines, but to be fair, they've all been pretty great). Anyway, with Falsario dead, there's not much way of telling who put him up to framing Jim Gordon, but at least they should be able to clear his name with evidence left in his office. And hey, Jason Todd got an action figure out of the deal. "You can, however, easily outrun me, for some reason." 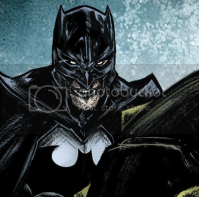 In Batman's storyline... who gives a damn? You can barely make out what's going on because of the horrendous artwork. There's no sense of scale or proximity, it's all just kind of strewn across the page like Grant Morrison-ish nonsense (by the way, his new book, Multiversity, is out, and it's more rubbish, but of course the comic book websites are masturbating furiously to it). Will somebody please get Simeoni off this book, already? 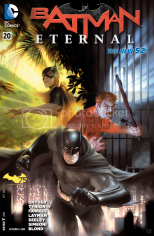 But yeah, something to do with Ten Eyed Man trying to open up a portal to Dimension X, so Batman reverse the polarity of the neutron flow by kicking him in the junk or something, and some hobo girl is rescued... does anyone really care? 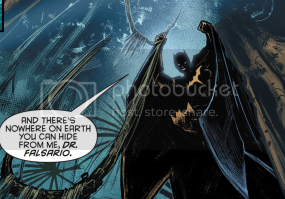 I guess I'm being hypocritical by previously complaining that there wasn't enough Batman in this weekly and then complaining when he is around, but this part of the story is dire. Just get back to the damn gang war crap and shut up about this nonsense. THIS IS NOT OKAY, DC. EVER. Speaking of gangsters, as some had predicted (can't remember if I was one of them), the guy Jimbo shared a cell with, Leo, turns out to be none other than the mob boss that preceded Falcone, Rex Calabrese, also known as "The Lion". If I'm following right, he might also be the real father of Selina Kyle, Catwoman. And he's got a killer set of sharpened dentures that he uses to BITE THE FLESH OF HIS ENEMIES. Fortunately his enemies are now the prisoners trying to kill Jimmy, so it looks like they've succeeded in saving the warden and Harper's father. Yeah, this part of the issue was excellent. It might've been spellbinding if it weren't for the terrible drawing. "Is that a thorn in your foot?" 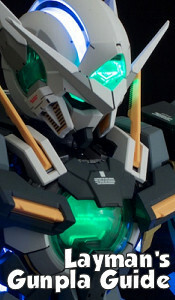 "A Lego brick, actually. I did have a kid, you know." 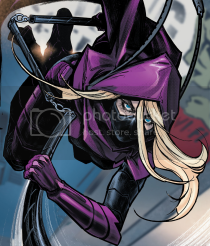 Also, Stephanie Brown is a ninja now, for some reason. I guess the internet makes you a ninja. Hasn't happened to me yet. Have I missed an important e-mail? Well, it's a good thing she had all that training when... uh... hm. At least Fabok's on art next issue.